Three years ago Beyond Pesticides executive director Jay Feldman and board member and president of Osborne Organics Chip Osborne testified in front of the Dover City Council, encouraging it to move toward organic practices. 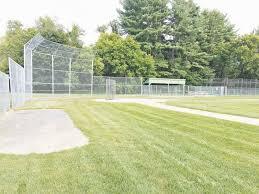 Working alongside city officials and Non Toxic Dover, the organization established two pilot sites in the city, at Henry Law Park, and Sullivan Ballfield, to transition from conventional to organic land care management. The pilot sites provided a foundation for local advocates to promote the feasibility and importance of restricting the use of toxic pesticides for cosmetic purposes. Dover’s move toward organic land care follows the passage of a similar resolution in Portsmouth, NH, the first community in the state to move in this direction. As the expense to transition to organic land care continues to decline, reaching cost-parity with a chemical-based approach, and new and effective products and practices continue to hit the market, more and more communities are following the path that Dover and Portsmouth are taking. These policies not only save money while maintaining beautiful landscapes, they protect the most sensitive members of the community – children, the elderly and those with compromised immune systems. They also protect and foster and healthy environment, reducing the influx of toxic chemicals into local waterways, plants that pollinator forage upon, and the air we breathe. Advocates hope that the influx of New Hampshire communities passing non-toxic policies will aid in the eventual adoption of statewide legislation, such as HB399, an act to protect children from pesticide use in places where they play, which failed by a close vote in the NH House of Representatives earlier this year. Not only can fertilizers pollute local waterways, reducing biodiversity and degrading critical wildlife habitat, research finds that nitrogen pollution in groundwater is linked to birth defects, cancers, and thyroid problems when individuals are chronically exposed. Although Dover cannot pass policies that restrict toxic pesticide use by private individuals, fertilizers are not currently subject to state pesticide preemption. However right now, Councilors hope that the City will act as a model for homeowners and residents to reduce pesticide and fertilizer use on their own properties. If you’re interested in taking action in your own community to reduce and eliminate the use of toxic pesticides, tell us you’re ready by signing your name today. You’ll receive a detailed response with resources and strategies you can use to convince your elected leaders your community should go organic. See Beyond Pesticides website for information on organic land management and products compatible with organic management. Beyond Pesticides staff is also available to provide free consultations for advocates working towards pesticide-free local policies – simply call 202-543-5450 or email [email protected]. This entry was posted on Tuesday, March 6th, 2018 at 1:44 am	and is filed under Alternatives/Organics, Lawns/Landscapes, New Hampshire, Uncategorized. You can follow any responses to this entry through the RSS 2.0 feed. You can skip to the end and leave a response. Pinging is currently not allowed.